Keurig, a name which is very popular for single serve brewers now days in many homes, offices and even hostels. The reason behind this popularity is the simplicity and ease of use. You end up with a good tasting coffee every now without creating much of mess on the place. What’s more, it doesn’t requires much maintenance and all like the espresso machine and super espresso’s do. Another reason for it’s popularity is the wide variety of flavors to choose from. 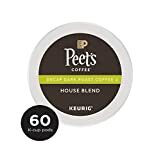 There are premium as well as cheap k-cups available in a huge variety which can easily confuse you as which one to pick and which to spare. Most of these are caffeinated but for decaf lovers, there are tons of flavors to pick from. 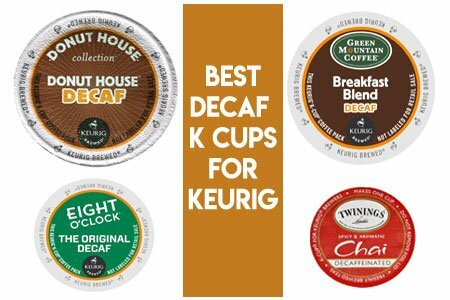 We have previously discussed about the best Nespresso Decaf pods and here we will be talking about the best Decaf Keurig K-Cups to try. Experience the smooth and pleasant cup of coffee with no bitterness in between. The result is full bodied and has great aroma to please your mind. Brew it in the 8 oz setting and you will have your perfect cup of Joe. 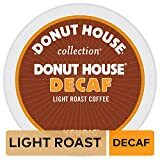 This flavor has over 5000 reviews on Amazon which is an amazing record for any K-cup coffee. 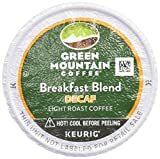 For Green Mountain coffee fans, this one is the best pick. Again, this blend has over 5500 positive reviews which is a remarkable thing for any such product. It clearly says that the product is loved and accepted by mass coffee lovers. Few of the terms that define this product are bright, balanced, sweet, smooth, gluten free and follows Kosher. If you love eating fruits, this one is for you. With fruity notes and well balanced taste, this blend is great acclaimed too for decaf kcups. It’s a medium roast coffee and is also certified Kosher to give complete peace of mind. 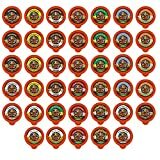 The brand has over 3000 ratings on Amazon and is an old one initiating the coffee business from since 1859. Here original doesn’t says that others are bad, rather just it’s the trademark of this brand and it really pays of well for them. This blend is also Kosher certified and is roasted medium and well, it’s bold in taste. There are many fans of this brand and other blends from this house are also worth considering if you are not permanently sticking to the decafs. Alfred Peet is a known name for creating a host of amazing flavors that are not found elsewhere. The coffee here is deeply roasted by hand to give the maximum flavor and aroma. The Decaf House Blend from Peet’s is well balanced, bright, super bold and full bodied. The name sounds interesting enough to try this coffee once atleast. This is an amazing dark roast blend full of bold flavor and is Kosher certified. Moreover, it contains extra coffee than the normal K-cups. It’s processed under slow roasting and hence full of flavor and extra bold accents. Enjoy the intense, bold, smoky, rich and complex blend in a very feasible price pack. This comes in varied sized packs but the most popular one is the 120 pod pack and costs just around $45. 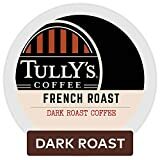 You won’t find any problem regarding compatibility too as it’s compatible with most of the Keurig 1.0 and 2.0 brewers along with other brand single serve brewers too. The OneCup pods are comprised of wood pulp lidding, a corn ring and mesh coffee filter and are Kosher certified. 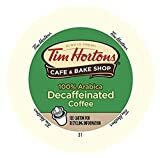 The Kcups by Tim Horton’s are marked 100% Arabica coffee and the business started from since 1964. Till now they are grown significantly making great flavors are also trying to make 100% recyclable k-cups. One issue that people have faced these days with the new packaging is they have to pierce a hole into the k-cup before brewing as the material doesn’t responds properly to the machine for the same. Enjoy a vivid variety of 10 different flavors by Crazy Cups which includes flavors like Death By Chocolate, Bananas Foster Flambe, Oatmeal Cookie and Chocolate Coconut Dream. Sounds interesting? Well, this is a must try for those who love variety in their life and are always searching for something new. Hope you have got it that this is not the listing for coffee. Twining is a very popular brand for producing green tea across many countries. This is a special blend of tea with accents of cinnamon, cardamom, cloves and ginger. This blend of tea (chai) is going to charge up your whole day. This k-cup has over 5000 positive ratings which simply say about it’s popularity. 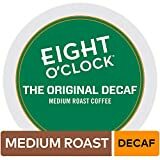 So, the above were the best blends of decaf k-cups to try. 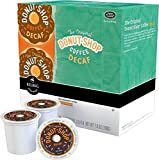 These kcups are highly rated by the consumers and are already doing great in the market. Still, many things depends on personal settings of flavors and so you might have to try more than one blend to get your best.